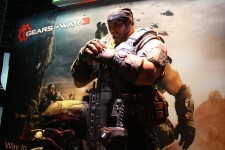 Every day we are on the look out for the most interesting news items in the gaming industry. Some make it on the site as headlines, and the articles that just miss the cut end up in the Shiny Objects feed which can be viewed here (or on the sidebar of the site) and subscribed to here. Every Monday we recap the shiniest of the objects, and our original articles from the previous week.